I would like to thank HarperCollins Publishing UK at NetGalley for allowing me the opportunity to read this wonderful book before it’s publication. Set in the stunning, eerie Alaskan mountains, this is a love story you will never forget. After a family tragedy, the old Alaskan homestead lay abandoned for two decades, until the one person who need it most came looking. What Kache found was more than a house full of old memories and buried secrets: he found Nadia, who had been hiding from the world, unseen, for ten years. Held captive by a past too painful or too dangerous to face, they must now break free from what binds them in place – and face the ghosts that have never stopped haunting them. Going into the book, I wasn’t sure what to expect and I wasn’t initially sure I would like it. However, once I was a few chapters in I was hooked. The House of Frozen Dreams is filled with lush descriptions of Alaska which are so intricate and vivid that I could almost smell the cool, crisp air. It was beautiful and take my hat off to Sere Prince Halverson for her talent. In fact, I’ve now added Alaska to the ever-growing list of places I want to visit when I conquer my travel nerves because of how idyllic and gorgeous Prince Halverson made them sound. I don’t want to say too much in case I spoil it and it’s such a remarkable and stunning read that I don’t want to take away all the surprise factor from it. What I liked was how I could find relatable qualities and sympathise with some the characters. I liked the Russian twang that Prince Halverson included in Nadia’s English. It made her much more distinct among the others and added to her personality. 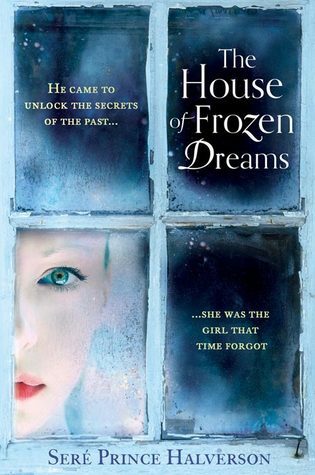 The romance in The House of Frozen Dreams itself was slow paced compared to a lot of romances I’ve read recently, but I liked how it didn’t rush the characters. The rapport between Nadia and Kache was golden at times. Overall, it was a fantastic read full of hidden secrets and I really enjoyed it. I’d definitely recommend it to all those who love quite a slow burning romance and a snowy setting. Oh this sounds good and I hadn't heard of it before. I love books set in Alaska for some reason. I think bc they're usually so pretty and well described. I also like how slow paced the romance sounds I actually find I can connect with it better when it's slow and steady and far from insta-love which must die! >.< Great review, Samantha!